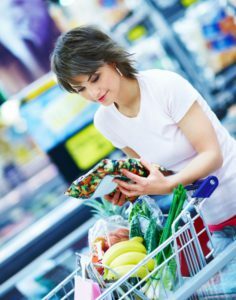 At the beginning of September, with a motion for a resolution, the European Parliament asked that food-contact materials are more strictly regulated under EU legislation. The motion applies for the issuance of a harmonised law that on one side binds all Members of the EU, while on the other side sets out general safety requirements that are applicable to all possible food-contact materials. In fact, today, the situation is quite confusing and diversified across the European Union territory. The rules adopted by some EU countries are in fact very strict, whereas in other countries they are too lax. As far as materials are concerned, so far only plastics, ceramics, regenerated cellulose, and active and intelligent materials are subject to specific EU measures, whereas many other materials – largely used in the form of food packaging, kitchen utensils, tableware – are not taken into account. Among these, for instance, there are paper and board, metals and alloys, glass, and a variety of other materials including varnishes and coatings, printing inks, and adhesives. According to European parliamentarians, the chemicals emanating from these materials may endanger human health or adversely change the composition of foodstuffs. According to the Danish Rapporteur of this motion, Christel Schaldemose, the lack of EU specific and safe measures for all materials that may come into contact with food, may jeopardize the health of those working along the production chain; furthermore, she states that the EU is not functioning as an internal market, because, in the current situation, food safety does not have the same importance throughout the European Union. Talking about materials and food, however, it is not possible to ignore all those materials that can affect food quality and, in some cases, even pose a risk to food safety, although they are not directly in contact with food. Just think about all those products used in food-contact environments (e.g. production, handling, storage, sales facilities). Special attention should be devoted to coatings and varnishes that may release harmful volatile substances or adversely change the composition or characteristics of the food itself. Specific rules regulate these materials within individual Member States (in Italy, for instance, there is a technical regulation of the Ente Nazionale di Unificazione UNI), but the development of a single EU Standard would be recommended. These materials would certainly have a minor impact on consumers’ health compared to those in direct contact with food; although, this is not always true. Nevertheless they may have a substantial impact on the quality of food, particularly on food composition; and this issue should not be underestimated, because consumers may associate it with unsafe food and, hence, food that is dangerous to human health.